Do you own an unwanted house in Cibolo? We want to buy it from you and put cash in your pocket fast — no hassles, no waiting! Owning a house can be stressful, time-consuming, costly, and a huge hassle. From foreclosure to divorce to probate to frustrating tenants… if you own a property that you no longer want or need, we’re here to help. We’ll even buy houses with tenants still in them, or fire-damaged houses that you just want to get rid of. 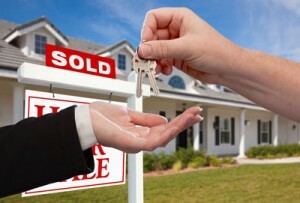 If you have a house to sell fast in Cibolo, we want to help. We’re ready to give you a no-obligation cash offer for your house. We Buy Cibolo Houses Fast For Cash! There can be a lot of waiting — while you fix-up your property before the agent will list it, and then it can take 3-6 months for a buyer to be found. And, it can be costly — you’ll have to pay out-of-pocket for those up-front expenses, and then pay bills and taxes while the agent spends months trying to find a buyer. And if they do finally find a buyer, you’ll have to pay the agent a commission (usually thousands of dollars). Again, selling through an agent might be an okay option for some people who don’t mind waiting or paying, but if you have a frustrating property or an unwanted property to sell then it makes more sense to just sell quickly and put money in your pocket and walk away. At Anchored Sunshine, LLC, we offer homeowners an option that works for people who want to sell fast and who prefer not to pay money to sell their house! We buy Cibolo houses in any condition and we have the funds right now to buy your house right away. Enter your information into the short form above to let us know that you have an unwanted property. We’ll get back to you within 24 hours to set up an appointment to view the house and give you an offer. It’s a no-obligation offer so you can choose whether it’s right for you… if you accept our offer, we can close fast. At Anchored Sunshine, LLC, we are the leading Cibolo real estate solutions company helping property owners who own a burdensome and unwanted property and would rather put cash in their pocket and put their real estate problem behind them. We buy houses in Cibolo and surrounding areas and pay a fair cash price, fast. If you’re asking, “how do I sell my house fast Cibolo?” we can help. Can You Get Your House In Cibolo Back After Foreclosure?